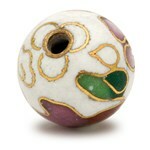 The Fancy size marble is approx 0.55" or 14mm, and includes 10 translucent and opaque colors! This size has all the elegance of the smaller sizes, lots of jewel toned color choices and is big enough to make a large splash of color. 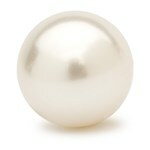 Love all my marbles for my ring, earrings and necklace - get compliments on them all the time. 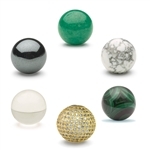 I have been ordering different marbles for years. Thank you for the creative jewelry.